With Droog Design, I traveled to the Canadian Arctic to investigate food systems. There I found the dilemmas inherent in importing food to this Northern perimeter of the globe, where traditional food stuffs have been replaced with mass produced food from the South. Although incredibly healthy (a seal has every vitamin needed in a diet), traditional food is becoming less popular to imported food that is high in carbohydrates, salt and sugars and is taxing the health of the Inuit. Fresh food is incredibly expensive since it has to be flown in. Soda beverages are so desired by most communities that they are also flown in, jacking the price to three or four times their normal cost. Presently, dry foods are shipped in once or twice a year and are also expensive, mostly unaffordable without heavy subsidization. Unseen and not permitted in other places in the South, empty shelves are typically found at the end of the winter season. Ordering once or twice a year a supermarket's stock is a complex science, with seasonal factors always in play. -with environmental changes, and ice retreating for longer periods, the Inuit will be experiencing new access to goods from around the world. How this new access will effect communities is an on-going conversation, and the circumpolar communities are rightfully and actively engaged in steering this conversation. With changes in ice more shipping lanes are opening for longer periods of time. How will the importation of goods effect circumpolar communities? To what extent will local food sourcing be affected more than it already is, and how will this effect the identity of a People if traditional hunting is effected? 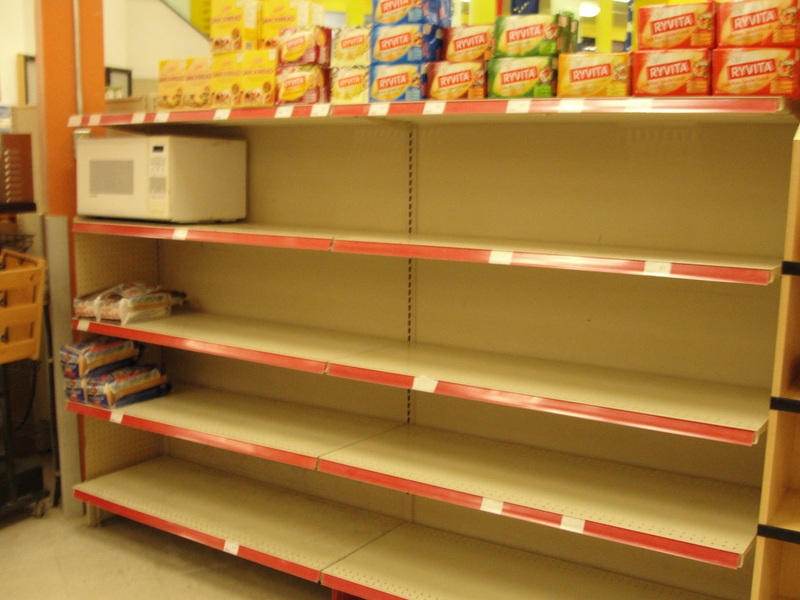 -without diminishing the importance of constant food availability for all Northern communities, can we see this situation of empty shelves as a model for elsewhere? In many places, food is over consumed and over abundant resulting in extreme food waste. We are so used to the idea of plenty, and its production is taxing the environment and our health. How can we change the paradigm of inexhaustible plenty to curtail over consumption and create new value in what we eat? 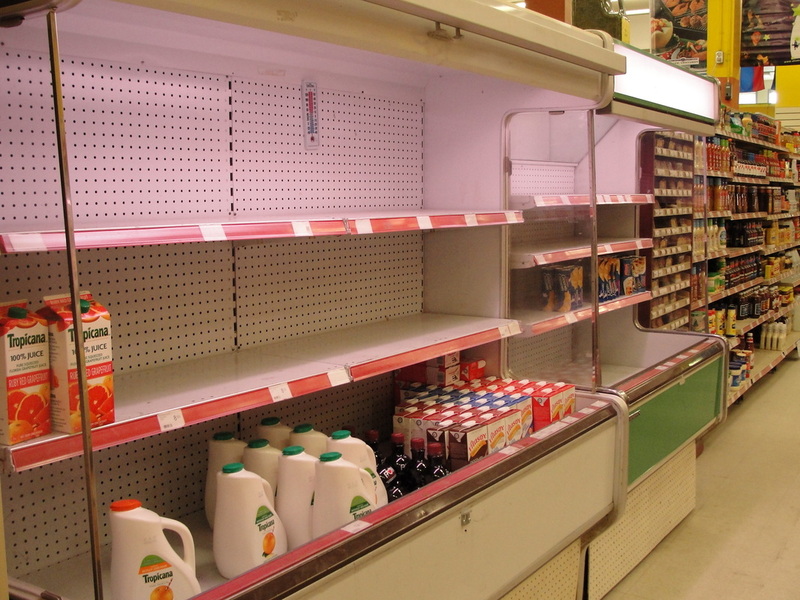 What would happen if communities in the South had empty shelves in their supermarket? Would it curtail our consumption and produce less waste? -how can we inspire children to like, or at least understand, that milk comes from a cow and not from the supermarket? Isn't it important to know where our food comes from and evidence of its being an animal is important? I asked a 7 year boy in Iqaluit what his favorite food was. He replied, and without any hesitation, "Raw seal eyeballs". How can we get here?